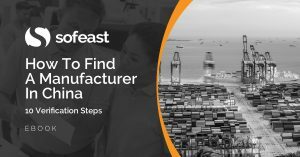 You are here: Home / Sourcing New Suppliers / Chinese Supplier Background Check: How useful is it? I wrote before about ways to run a background check on a Chinese company. We recently had an interesting experience and it serves as an interesting example for those buyers who are afraid of lies and trickeries so common in this part of the world. One of our regular clients was planning to buy for $50,000 of motorized vehicles. They asked us to run a quick check on the supplier’s company as a safety measure. Apparently, all was in order. The supplier has a well-designed website, an Alibaba Gold status, and an “onsite check” label by Alibaba that includes a business registration number and an ISO 9001 certification. The business license information was, in fact, that of another factory. Same thing for the ISO 9001 certificate. These documents are all in Chinese so most oversea purchasers don’t verify anything. The supplier was operating without a company! We asked the factory whose name was on the documents for information. It appears the “supplier” is simply a couple of people working in an apartment. A Google search revealed one complaint on the Internet. To confirm our findings, we called the supplier directly. Their reaction confirmed our suspicions. The supplier hung off after 3 simple questions. Is it unsafe to work with a trading company? Not much more than working directly with a factory. How about a small trading company that consists of 2 guys in an apartment and that pretends to own a factory? Yes, it is definitely something to avoid!! How about a supplier that discloses nothing about their Chinese company name and shows another company’s legal documents? Prepare for the worst. How do suppliers with a poor reputation keep their Alibaba Gold status for years and keep fooling foreign buyers? Very easy. They keep the same Chinese company name and they change the English translation. In China, the English name of a company is not official and can be changed at will. (Same thing for people’s names, by the way.) That’s why foreign buyers should check the reputation of the Chinese company name. 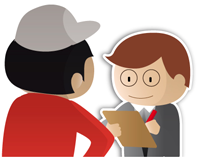 When should importers proceed with a background check on their suppliers? Usually, it is done before issuing the first order. In case you have confidential documents (e.g. about your cool new product) to share with a new supplier, doing a background check first will also ensure you don’t send the information to a broker that will then send it to 15 manufacturers… while signing your NDA that is probably not enforceable in China. What do you think? Have you had any experience with Chinese suppliers who were not all they seemed? Was the Alibaba account held by the HK company or the manufacturer in Mainland China? Both the “supplier” (HK company) and the manufacturer have their own Alibaba account. But the “supplier” was “verified by Alibaba” and the manufacturer was not. I see, so the HK trader had a Gold Supplier account, while the manufacturer had an unverified account? Well, this very common, and Trading Companies are allowed to become Gold Suppliers – many of which are also listed as specifically Trading Companies. Checking on which company is the actual manufacturer is fundamental, even when vetting manufacturing companies, based in Mainland China. Are you referring to companies opening new Gold supplier accounts, once the “scam accounts” are closed by Alibaba? Wouldn’t it make much more sense if they open a new Chinese company (thus, a new CN name), and maintain the same English name? That said.. Alibaba should certainly see through that. Good question.But closing an Alibaba account is not easy. There needs to be an official claim with acceptable elements of proof. In a case we worked on previously, Alibaba didn’t even reply to our client’s claim. So they keep their Chinese name and their Alibaba account. But they change their English name to ensure foreign buyers don’t find complaints about them on Google. Right, so it’s all about hiding from the Google search. The question then is whether or not Alibaba allows them to maintain the same EN name on the Alibaba account? Yes, to hide when foreign buyers google their English name. And Alibaba usually doesn’t care much about complaints… Not to mention, a minority of buyers who get scammed/cheated go through the process of filing a complaint. Is there a way to find out their Chinese company name using their Alibaba profile? 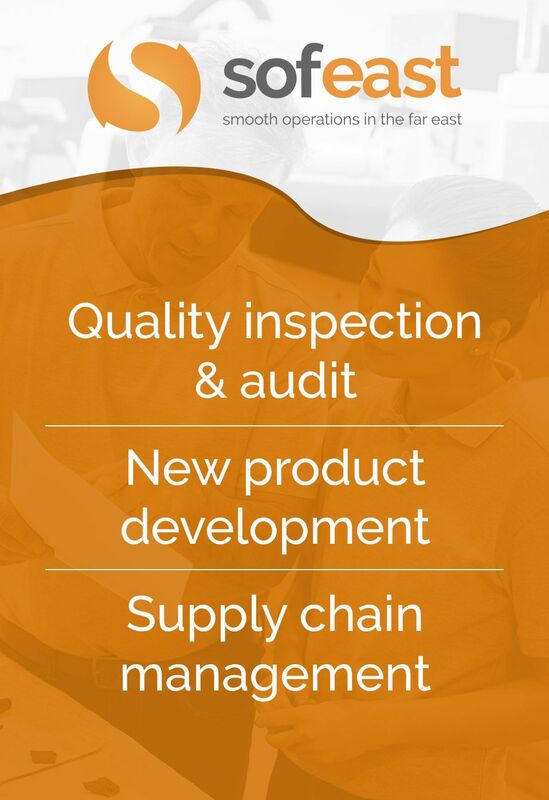 I wonder Renaud if same scenario would have been for supplier with “Suppier Assessment” badge and would you be able to tell they are fake by looking on Assessment reports? Would you be able to find their Chinese company name there? There is no link between the Chinese name and what is shown on the Alibaba profile, unfortunately. The Chinese name needs to be found by other ways, unless provided in Alibaba or on their own website directly by the supplier. I know this is surprising… But don’t forget that Alibaba works for suppliers and is paid by suppliers. If a supplier is “assessed”, the situation is less risky, but still the Chinese name is not disclosed. So far we haven’t found nay fake assessment, but I wouldn’t bet that 100% of assessments are trustworthy. Background checking is too common nowadays sourcing from China. A in-person visit or an audit by third-party agent can give an overview. Alibaba is a company for profit so if you pay the fee, he will give you good ranking thus making the company not so dependable, many suppliers also do not like this, and they seek other ways to promote. What do you think about finding factory background checking agents on freelance websites who live in respective cities? I am not sure what benefit the fact they are in the same city would give them. First of all, i’m a Chinese. and i totally agree that Alibaba is company for profits. and as my previous working experiences in certain Chinese company who take service from ALIBABA lead me deeply know the “regulations”, objectively speaking, money is the key.